Now I know that my pets have no idea what the day is, but I do. And since I always felt a little bit down about missing out myself on such a fun holiday, I’ve tried to make it special for the others around me. And so every year I give the petses some kind of a gift to show them that I love them. There will be a new chew toy for the dogs though, looking at their pet toy boxes I realize that there are lots of gift days around here. :) And I’ll find something fun and mechanical for the kitties to chase around the house until Carly, my Boston terrier Shih Tzu mix, eventually captures and kills it. 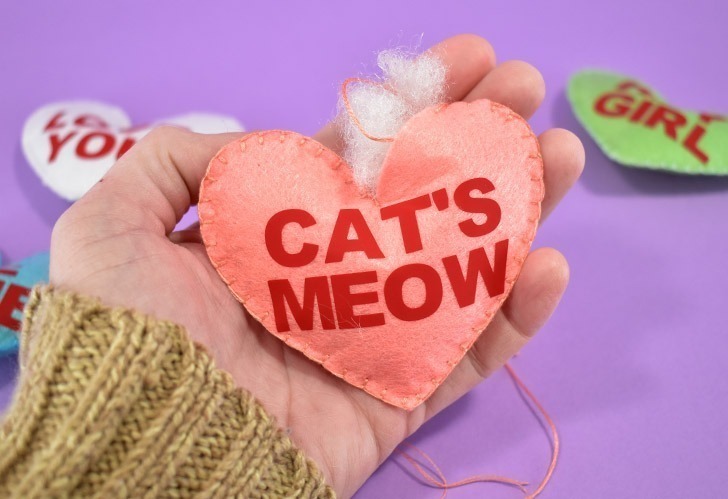 But mostly for the cats, I’ll make catnip filled gifts because it’s inexpensive, lasts for AGES (seriously, guys I’ve had toys I made in the very beginning of this blog almost 7 years ago that are still getting used to this day) because I totally enjoy making them. 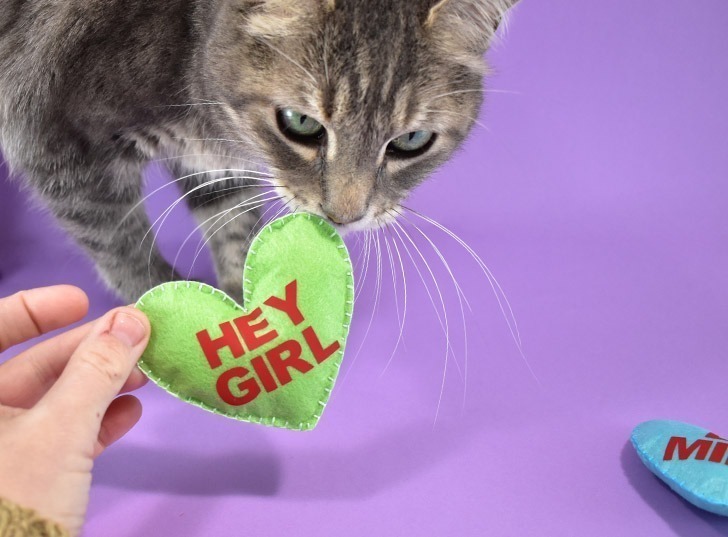 I’m super pleased with today’s catnip filled cat toy tutorial because this project is SUPER FAST. Using a Cricut Maker, which is an absolute DREAM at cutting felt, means no cutting out shapes by hand which takes time and also very rarely winds up being absolutely perfect. 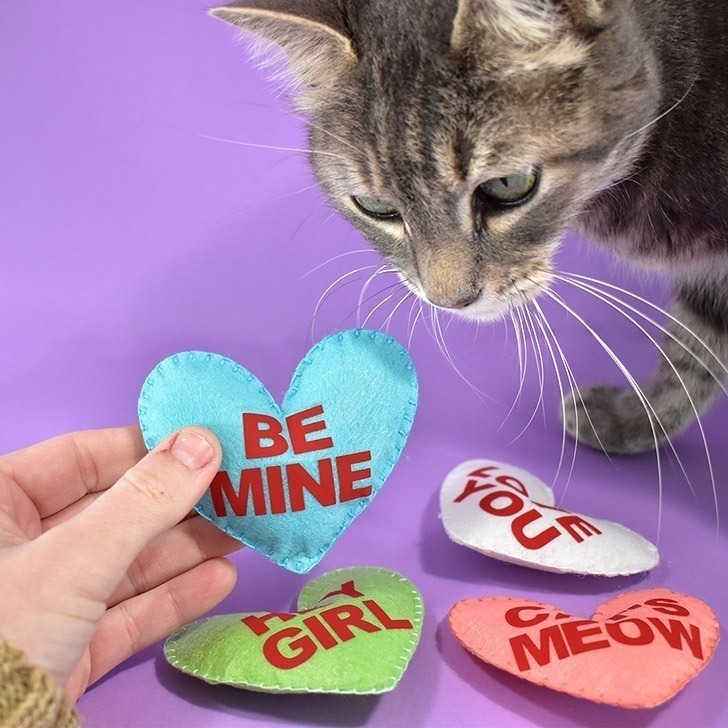 So, hey girls (and guys), want to make some Catnip Conversation heart cat toys? 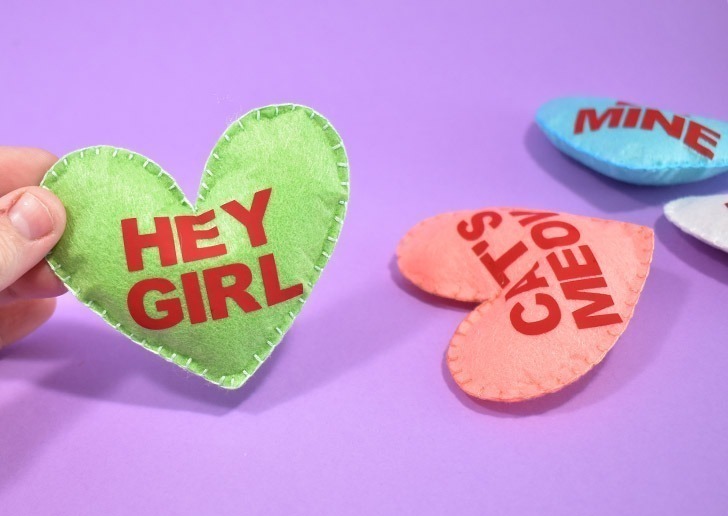 For my conversation hearts, I used the pastel blue, pink/peach and green from Cricut Felt Summer Sky Sampler and then white from the Carousel Cricut felt sampler. The good news is, if you do piece yours together using the strip, it works really well because I made one that way just yesterday! 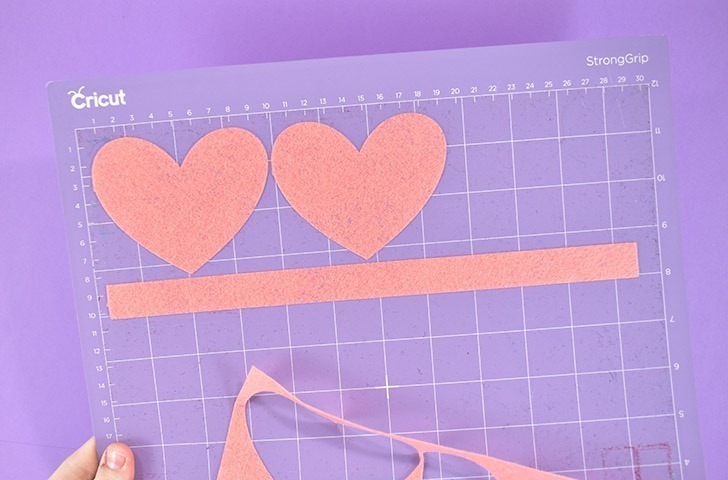 Need that link for the free Cricut Design Space Cut file, again? 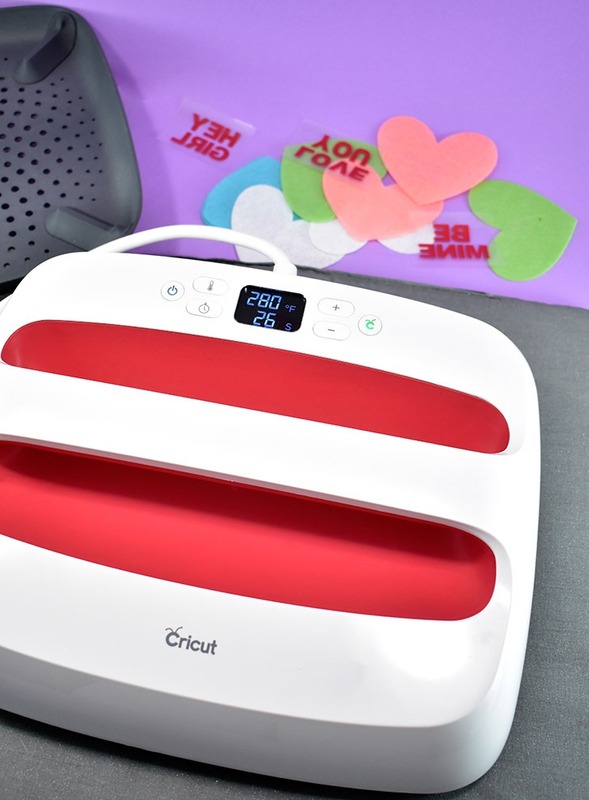 red Cricut Everyday Iron-on. One of my absolute favorite things about my Cricut Maker is that it cuts felt like a dream and I just LOVE to craft with felt. 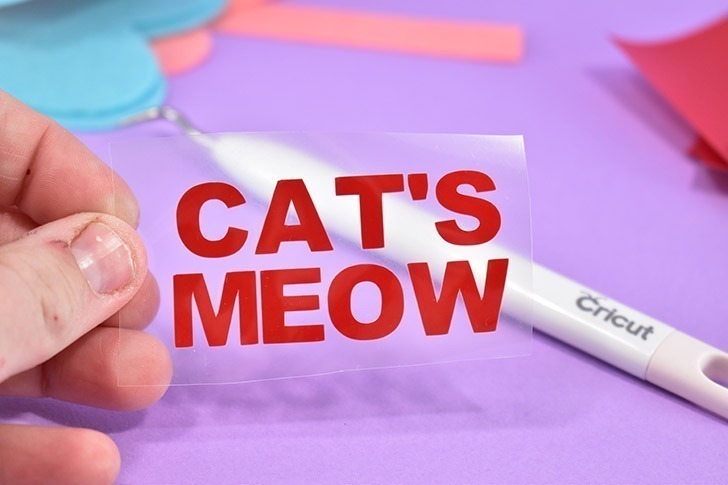 Use Cricut branded felt whenever possible. 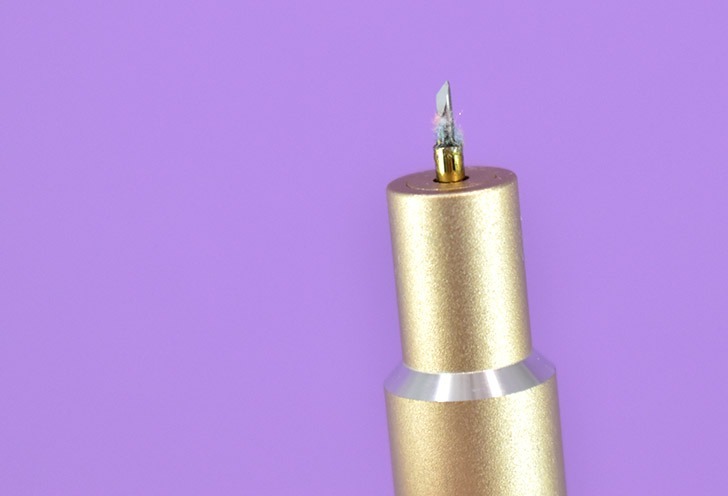 Some acrylic felts are kind of fuzzy and they take all of the stickiness away from your mat when you remove it and it leaves behind a ton of little fibers. 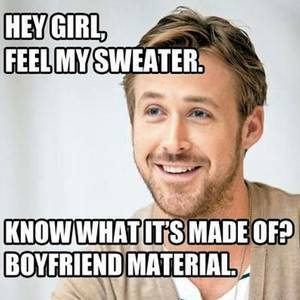 The fibers will also collect around your blade. Clean the fuzzies away from every few cuts. Be careful when you do clean it because your blade is obviously going to be sharp! Push your felt onto a strong grip mat 2-3 times. Place it onto the mat and then rub your hands across the entire piece to push it into the sticky so it holds well. If anything flips up during cutting because it wasn’t well stuck to the mat, your whole job is going to get messed up and you will have wasted your felt. If your mat loses its stickiness, take a clean bristled brush and apply a small amount of warm water on top of the mat. Gently brush away anything that is lodged into the adhesive and then allow the mat to air dry completely. Never pick at anything as you will completely remove the adhesive and you’ll have a spot on your mat where nothing will ever stick. Mirror the type and cut out of red Cricut Everyday Iron-on. 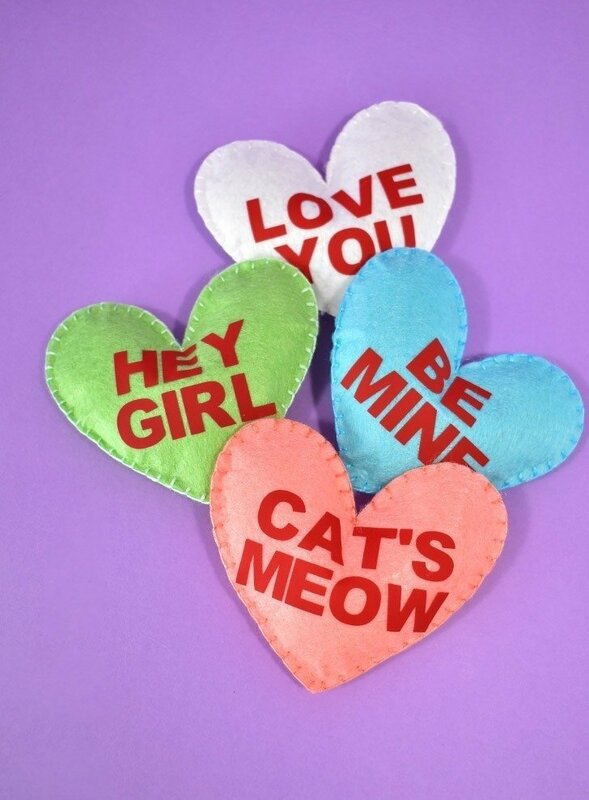 Weed away anything you don’t want transferred to your catnip conversation heart cat toys and set aside. Because felt is basically plastic and will melt, we’re going to adhere our Everyday Iron-on with a lower temperature than what we’d use, say, on a tee shirt. Set the temperature on your Easypress to 280­°. 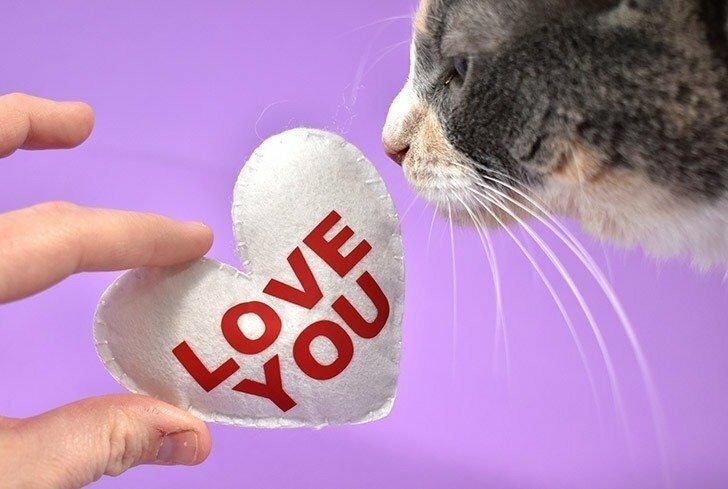 Set your felt hearts on a towel or an Easypress mat and place your vinyl letters exactly where you want them to adhere. Apply heat to the front side, over the protective sheet for 30 seconds. Flip and apply heat to the backside for 30 seconds. 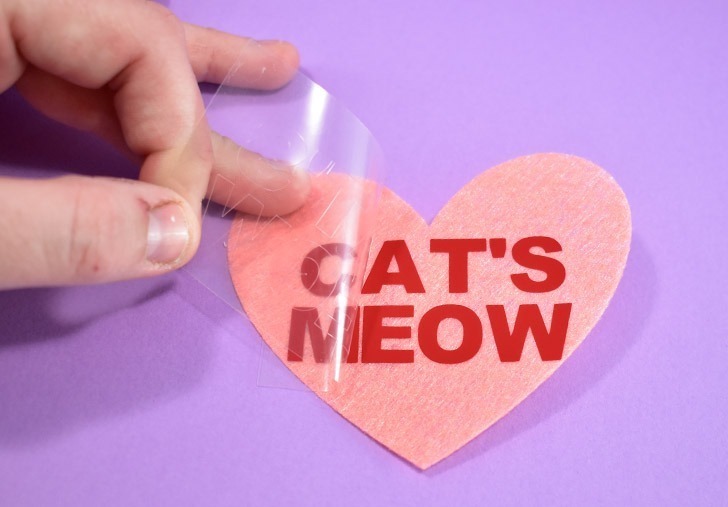 Remove the clear film while the vinyl is still warm. If you find any of the vinyl is sticking to the clear sheet, place it back on top and hit it with 5 seconds of heat and try again. If you pull away your Easypress and find that your pieces are missing, no worries, they just decided to stick to the hot plate. Use something to gently pull the vinyl away from the plate, but NEVER use your fingers because 280° is darn hot, Y’all. 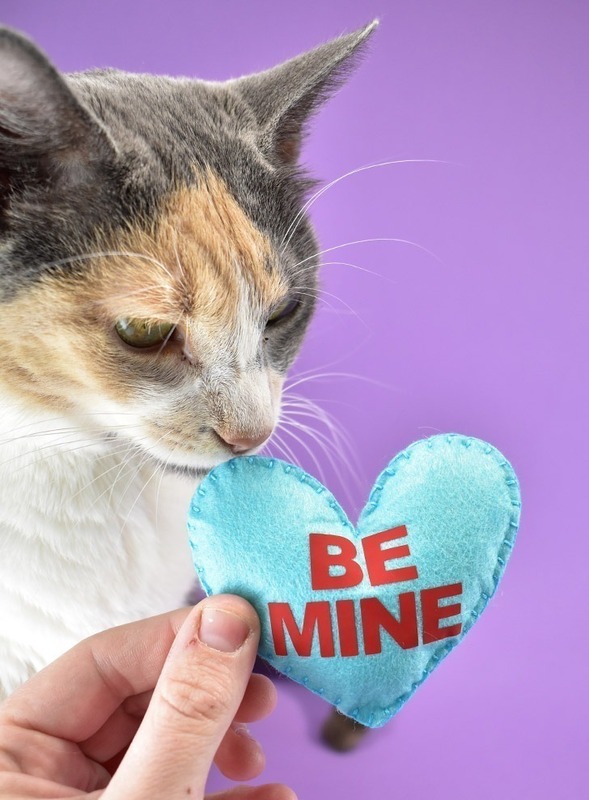 Using the blanket stitch sew together your hearts leaving an approximately 1″ gap to fill with stuffing and catnip. 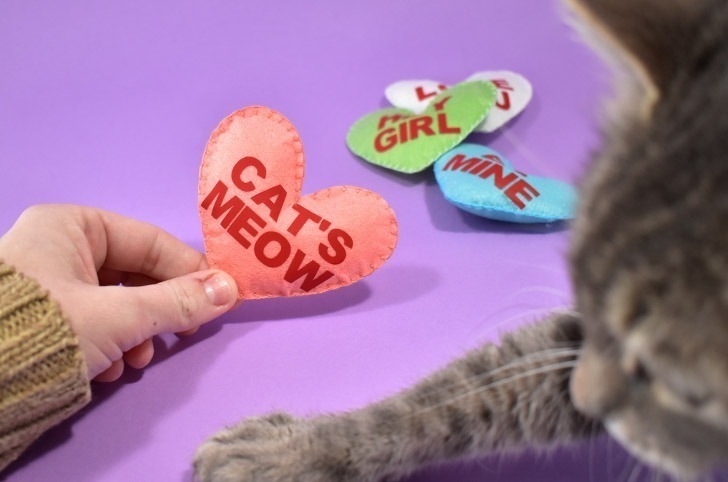 Using your finger, push the stuffing to nicely fill out the heart, and push a bit of catnip in the middle. 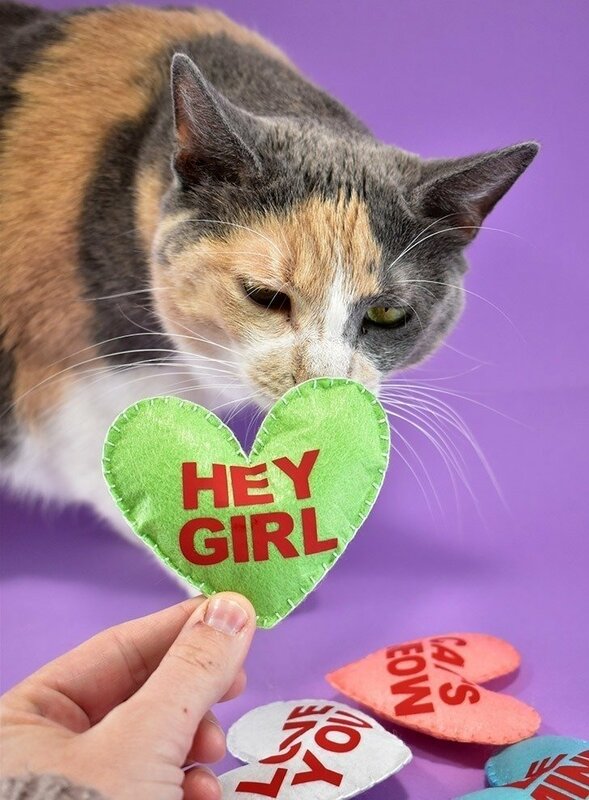 Finish stitching up your hearts to close inside the puffy filling and ‘nip and your adorable catnip conversation heart cat toy is done! Now I always love making catnip filled cat toys but this one was super impressive because it was crazy fast. Even in the throes of the pain of a pinched nerve in my lower back and lots of little breaks to switch from heating pad to ice pack, I was able to get these guys cut and sewn together in about an hour and a half. On my craft game, I’d think I could have quickly whipped all four up in 45 minutes easy. And that’s all because I didn’t have to cut my felt by hand, instead using my Cricut Maker, and I didn’t have to hand embroider the lettering on each toy, instead using Everyday Iron-on and my Cricut Easypress. Cool, right?